Consumers Digest voted "Best Buy"
in quality water filters for 5 straight years! Portable water filters are great for travelers, renters, and even those who want to save money on bottled water. A portable water purifier is smart economy and makes good health sense, too. Let's face it. We need to be concerned about the quality of our water in this day and age. If it's not the herbicides, pesticides, bacterias, fungi and other contaminants that worry us, it's the chemicals that have been added to get rid of those things! has passed from the theoretical to the real." There are so many things that can be blamed for the increase in disease over the last century. The quality of our water is definitely a contributing factor. Carcinogens are cancer causing agents. Did you know that the majority of the water available for drinking has significant levels of carcinogens? responsible for the majority of human cancers in the U.S..."
The above quote ought to make each of us give a second thought to doing something about the water we drink. One of the simplest ways you can make a difference is to consider getting some portable water filters for your home and to take with you when you are away from home. My mom's birthday is coming up next month. Guess what I'm getting her for a present? 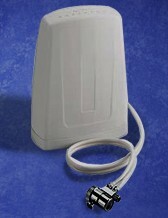 I've decided on the combined countertop water filter and the shower filter package available at Aquasana. It's an excellent value, and they've even given me free shipping. My mother already had a battle with cancer in 2005. She's clear now, praise the Lord, but I want to help keep her that way. My husband and I have rented for our entire married life. One day we may own our own home, but I'm not counting on it. I'm holding out for that heavenly home the Lord has promised us. As missionaries, we have traveled in foreign countries, but have almost always had treated water to drink. Still, we have always made certain that we had a home water filter that we could attach to our faucet so that we would have pure drinking water. Water coolers and filters are really not that expensive in the grand scheme of things. 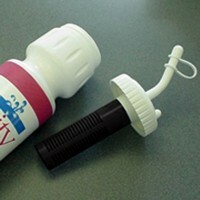 You can save a lot of money by using a portable water filter rather than buying bottled water. The high quality water filters at Aquasana provide the best quality water for less than 10 cents per gallon. Have you priced bottled water lately? Not only do they have the counter top and shower filters that I'm giving to my mom, but they have under the sink and whole house filters for those who own their own home and know they'll be there for a good while. One of my favorite little extras Aquasana has is the purity water bottle filter that looks just like a regular water bottle. The secret is that it has a unique built-in, replaceable filter so that you can be assured of having good water to drink while traveling, at work, visiting friends, or wherever you go. What could be easier? Good water is foundational to good health. For the cost of a couple of nice meals out, you can be sure that your family is getting the best water possible. Take the 'plunge' and get yourself a decent water filter (pun intended). It's well worth it. If you have any questions about water purifiers and filters, feel free to ask them here. You might have an experience of your own to share that will encourage and help others trying to make a decision about investing in a good quality water filter system. Has drinking purified water changed your health in some way? Please take a couple of minutes to tell us about it.